Colin Gleadell has included Piano Nobile his weekly art market report for The Daily Telegraph newspaper. The article focused on the activity at the London Art Fair, which ran at Islington's Business Design Centre from 18 - 22 January 2017. Picking out the Piano Nobile stand as the fair's "big news", the article emphasises the enduring buoyancy of the Modern British Art market and its international appeal - particularly of works by Euan Uglow, which proved especially popular across the entire scope of the event. 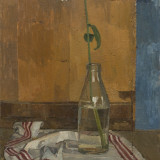 The article was illustrated by Uglow's Marigold, 1969, which remains on show at Piano Nobile as part of the current exhiition William Coldstream | Euan Uglow: Daisies and Nudes until Saturday. 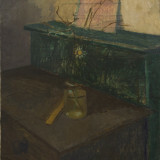 For more information, please visit the exhibition page. To read the review in full, please click the link below.